How long had the north wanted independence for? How Long has the north wanted independence for? Did most northern lords really want independence for a while and brooded until an opportunity arose or were they just sick of the crown killing starks and the greatjon had a drunken idea? There are different factions in the north. The hardliners probably wanted independence right when Torrhen bent his knees to Aegon. Just foolish pride. The northern lords probably had mixed feelings towards it during the 300 years of foreign rule. Just after Aegon's conquest, I have no doubt that the northern lords felt ashamed of having to kneel to some foreign King, and wanted to break free as soon as possible. After the Dance of the Dragons, the North probably felt more loyal towards the Targaryens even tho they never got their princess. And after the Roberts Rebellion, they felt even more loyal to Robert because they felt that Bobby B gave them the justice, vengeance, and glory they desired. I'd say that over the 300 years a couple GreatJon's with some wild fantasy of declaring independence poped around the North but that's about it. The North benefited allot from Westerosi unity as it brought in more food and trade from the south as no doubt before the Conquest many southern kingdoms disliked the idea of trading with the Northern savages that prayed to trees. Tbh just before Robbs declaration of independence, none but the GreatJon actually thought of going full rebel. They grew so used to having to pay homage to someone sitting on the Iron Throne that they never really thought of doing their own thing. The GreatJon was probably ready for his speech since he was born. In world it states that torrhens sons wanted to revolt against the crown and were against the forced marriage of the stark girl and the former arryn king and refused to attend. I would bet that in the 300 years since the conquest the north probably would have preferred independence rather than to be part of the iron throne considering the north really doesn't gain much. I believe that if by the starks and the north got their princess it would have helped. I always found it odd that the targs never wanted to marry into the starks. First because the north is so isolated that having a huge power that can come south at anytime and aid you I believe is a strategic plus but also considering the prestige the starks carry in westeros. Maybe after the Dance of Dragons since (as far as I know) the North never involved itself heavily in any of the Blackfyre rebellions. Also in the last Dunk and Egg novella the Iron Born are attacking the North in an all out war and the Crown doesn't seem to be sending the North any support even though some of the characters in the Mystery Knight feel like the Targaryen should be doing exactly that. Maynard Plumm's (who appears to be the Hand of the King, Bloodraven) excuse is that he has his eye on the Blackfyres across the narrow sea. This could have led to the North resenting the Crown and felt as if the Targaryens shirked the responsibility to their loyal vassal by not aiding them in a time of need. 300 years (since Aegon's Conquest). If there was a strong movement for independence, then there would likely have been at least some attempt to realise it, particularly after the last of the dragons died out. It appears the Starks were happy enough by that point to remain loyal to the Iron Throne. Three hundred years is a long time, and fealty became a habit. 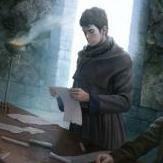 There's also the mystery of what the deal was that Torrhen came to with Aegon. They may have come to an arrangement that built a deeper relationship between the Targaryens and the Starks. Probably during the time of Beron Stark . Straight after the Conquest and for many years after that, the Northerners where probably very pissed and wanted to break away from the South as soon as possible, that's the reason the Company of Rose sellsword group even became a thing. During the Dance of the Dragons the Starks fought for the winning side, the Stark Lord at the time became Hand of the King (even if only for a day) and they where promised a Targaryen Princess to marry. So I would say House Stark where one of House Targaryen's biggest supporters at that time. Then during the Baratheon dynasty not only did Robert, in the Northern Lords minds, avenge all the lost Northerners and take down the ones responsible, but Robert was also Ned's best friend, which the Northerners probably considered a great boon. Every house is different. And every house wants to boast honours and improve their standing. For some, such as Roose Bolton, self rule simply isn't necessary. Warden of the North is enough of a promotion. But a man like the Greatjon? 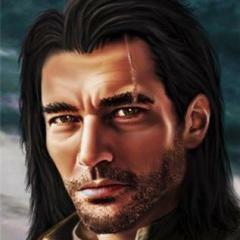 Or Rickard Karstark? Big, powerful men with something to prove. The temptation to rebel is always there. Greywind literally had to take chunks out of the Greatjon in order to fully subjugate him. And all that fuss was over the dishonour of being told to march behind a House that the Greatjon deemed unworthy. In this scene, we see how a Lord can struggle to keep his own banner men in check. Let alone an entire realm filled with conspiring Lords. Take away King Rob's direwolf and he'd be forced to fight the Greatjon, steel on steel or risk losing the respect of his men. Nobody wants to fight a man like the Greatjon. 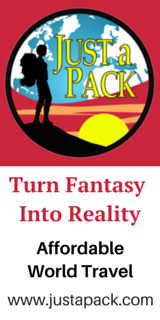 The disadvantages to self rule are apparent when the Young Wolf's home is attacked by the emboldened Iron Born. With a strong King or Queen on the IT, the Iron Born wouldn't return to pillaging Westeros. But with half the realm in open rebellion, the North is easily singled out, it's expansive coastline and it's enormous open stretches of land make it very difficult to repel and invasion from the sea. Winter is upon them and they will get no relief from the south in terms of men or food. For many readers, the North knelt to the 'Dragon Lords'. But not the Andals. I'm not suggesting that the North should of rebelled. But I do feel a sense of inevitability regarding the eventual cry for independence. Few could mock a man for kneeling to a dragon. The IT itself is a reminder to any fool wishing to fight them. But a bunch of Seven worshipping southerners? The Northeners are a hard people from a hard place, again, as the Gretjon demonstrated. There was some disgruntlement when Torrhen bent the knee, but there is no indication this was not dealt with and over before Aegon died - or else the Starks or other lords would have risen against Aenys, like others did. from the FaB preview doesn't seem to be a man dreaming of secession, and he may be a grandson of King Torren - or perhaps a (great-)grandson. If independence had been a relevant thing in later years one would expect that Ned would have been pushed by his lords to not crown Robert but rather make himself the new King in the North after the Targaryens had been dealt with. There is no doubt that, in the North, there have been many who have wanted independence since Torrhen bend the knee. And it's perfectly natural: it happens in every single country that gets conquered by force (or threat of force). It's also perfectly normal that, specially as time passed, more and more people got comfortable with the new regime and wished to stay as they were. The majority opinion could switch constantly through the ages. When they were receiving food from the South during winter, surely most were happy to stay. When Southron kings executed their lords, most thought that they were better on their own. There is no doubt that, in the North, there have been many who have wanted independence since Torrhen bend the knee. It’s certainly plausible, but saying “there’s no doubt” is something of an exaggeration. I can’t think of a single part of the text that suggests that a desire for independence was about in the North. That doesn’t mean it wasn’t there, but it’s far from a certainty. Neither in the series or in the World book has any rebellion against Targaryen rule, either led by the Starks or by unruly bannermen, been documented. The main rebellion against Targaryen rule was is the South against Maegor, and the North took no part in it (as far as we know). My statement doesn't come from text analysis, but from empirical evidence: every single region in world history that has been submitted by the force of arms, has had some kind of independence movement. It's only logical. Specially if they are culturally distinct, as the North is. It can take multiple forms, and have a greater or smaller following. But it's everywhere: Catalonia, Scotland, Wales, Northern Ireland, Quebec, Chiapas, Texas, California, Cascadia, Puerto Rico, the old confederate states, Kurdistan, Corsica, Bavaria, Piedmont, Padania, Sardinia, Sicily, Transnitria, Karelia, Kaliningrad, Chechnya, Andalusia, Galicia, Canary Islands, Faroe Islands, Greenland, Crimea, Cornwall, Patagonia, Curaçao, Tibet, Hong Kong, Inner Mongolia, Kashmir, West Papua, Assyria, South Vietnam,South Yemen, Puntland,... I could name hundreds. My statement doesn't come from text analysis, but from empirical evidence: every single region in world history that has been submitted by the force of arms, has had some kind of independence movement. It's only logical. Not necessarily. Certainly in the modern world, where nations and nationalism are a thing, that's true. As you get further back into the Middle Ages, not always. I'll grant you, particularly in the case of the North, it seems likely. However, as I said in an earlier post, I think the mystery of what was discussed between Tohrren and Aegon may shed a light on why there’s no evidence of such a movement in the text. We actually don’t see any independence movements after the Conquest, in any of the Kingdoms, other than the Iron Islands. The rebellion against Maegor was mostly a religious and anti-lunatic rebellion, rather than a wish to return to separate kingdoms. Lionel Baratheon’s rebellion seemed more like a tantrum. But that would go for all the Seven Kingdoms, no? When the time comes to break the shackles of the Dragon only Jonos Arryn has the courage to crown himself - no Lannister and no Stark dares to do that. That implies that nobody important up there dreamed of independence. And since this is a feudal world the wishes of insignificant lordlings and the smallfolk has no bearing on what their liege lord does, or to whom he bends his knee. This is a pre-modern world; the only place where the smallfolk seems to care who rules them is Dorne. The North certainly want the Starks in charge, but there is no hint that they are any different in that regard from the Vale or the West in relation to their ruling houses. This is a devotion to a particular house, not so much to a nation or region. I suspect there had always been Northern Lords that favoured independence, but would not defy the Starks. The murders of Ned's father and brother probably strained loyalty towards Kings Landing, but this was offset by the North being on the winning side in the civil war. Robb's rebellion, and then Ned's murder, ended any feeling of loyalty towards the Iron Throne. Robb truly seems to be declared king by the gang there because they didn't know what to do, basically. There is no indication in AGoT that the North chafes under the yoke of the Iron Throne or anything of that sort. It is understandable that Torrhen's submission isn't seen as a great deed back during the Conquest, especially since there was no battle, but at this point we don't get any indication that the North wanted to get out of the deal since the death of the Conqueror - both Aenys and Maegor would be great opportunities for rebellion, followed by the Dance. 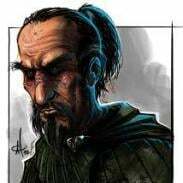 Think what Cregan could have done if he hadn't come to KL to fight for Aegon III but rather against him. He could have ended Targaryen rule then and there, and crowned himself the King in the North - and any other land that was willing to bend the knee to him.